﻿ Bing vs Google for SEO | Which Is the Best & What Are the Differences? Bing vs Google for SEO: Which Is the Best & What Are the Differences? Do you know what the key differences are between Bing and Google when it comes to SEO… and which one is better? For sheer global market dominance, Google has been the king of the search engines for the 21st century. Dwarfing the competition in most sectors, the question many people ask is, should we be concerned about tailoring our SEO for search engines like Bing when Google is so dominant? Here we take a quick overview of the head to head stats between Bing and Google and consider whether the former has any discernible influence when it comes to SEO. Since 2011, Google has lost over 12% of its share of the market, Yahoo! has remained pretty constant whilst new entrants like the Chinese technology giants, Baidu have made huge gains. Likewise, Bing has more than doubled its hold on the market – up from 3% in 2011 to over 8%. Whilst Google has become the de-facto standard for online search queries, its once unassailable position at the top is slowly becoming less assured. In fact, in December 2016, the tech-giants overall market share fell to less than 70%. Device Type Google Bing Baidu Yahoo! What is becoming clear is that whilst Google remains the number one go-to for access to the internet, the alternatives…like Bing, Yahoo! and Baidu…are not to be ignored. And remember, these are global statistics. Here in the UK, Bing’s search engine market share over the last four years has varied from 5.79% (August 2014) to 12.24% (June 2018). Lastly, Bing has powered the Yahoo! search engine since 2009 so their combined share of the market just gets more attractive. Google is by far the larger of all the search engines…but is that enough? So, we’ve established that far more people use Google than Bing/Yahoo! but does that mean that the former is better when it comes to SEO? To try and answer this, we need to address the actual figures we are talking about here. Yes, whilst Google dominates the search engine market, there are still 1.2 billion unique visitors to Bing each month! When it comes to optimising your site for search engines, Bing still represents a huge amount of people. Remember also that, whilst most web marketers target the Google audiences, competition for SEO is less fierce on Bing AND Bing reaches more than 60 million searchers that do not use Google so you can also hit up an exclusive audience. These statistics can get even more tantalising when you consider the demographics of the Bing network’s users. Although data is only generally available for the U.S., it is widely acknowledged that Bing audiences are wealthier and older (almost 40% are aged between 35-54 and a third have an income of over $100k). So, there are some key things to consider when it comes to who you are trying to reach as well as how when considering SEO for Bing vs Google. It is worth mentioning here that traffic driven to a website by Bing is considered by some to be higher quality. The award-winning marketing blogger, Matthew Woodward reports that users hitting his site from Bing tend to stick around longer, view more pages and click more links than those coming from Google. Google’s SEO algorithms are well known but what about Bing’s? Is Google Better Than Bing for SEO? What Are the Differences? These two search engines share some similarities when it comes to their algorithms used to rank websites for SERPs. Both value high quality and relevant content which keeps visitors engaged (simple site design, fast load times and clear navigation for desktop and mobile); however, there are a few differences in the way they handle SEO. Just like Google, Bing puts emphasis on backlinks contained in a site but the latter seems not to favour domain authority over organic growth from exact match anchor text. Bing’s algorithms also seem to favour links from older domains as well as the trusted websites that Google prefers (.edu, .gov, .org etc.). When it comes to searches themselves, Bing seems to favour an ‘old school’ approach to SEO and ranks sites that have EXACT keyword matches in both H1 and H2 title tags as well as in the meta description. This also extends to cover domain names. A search in Bing for ‘best toy shop’ would be more likely to return a domain (www.besttoyshop.co.uk) that includes this exact search term than in Google, for instance. Unlike Google, Bing has publicly made it known that social media signals are a part of its ranking algorithms. If content is being shared and your page is liked across platforms like Twitter and Facebook then it is highly likely that your SEO will be improved on Bing before it is on Google…as long as this happens organically rather than through paid likes. Whereas Google prefers fresh content, Bing favours older content that is well linked and considered reputable. It’s said that Bing can read Flash content whereas Google does not. In fact, Bing prefers sites that have multimedia so you can gain a small advantage by having more than just text and html. Who’s the winner for SEO? Bing or Google? So, which search engine should you be optimising your content for? Google or Bing? Fortunately, the key factors for ranking well on both are very similar so you should be able to harness the power of both rather than making a conscious decision to target the audiences of just one. However, the key take home here is that Bing is no small fry when it comes to reaching a potential audience; quite the opposite, depending on your industry and target demographics, Bing just might have the edge with less competition for traffic. 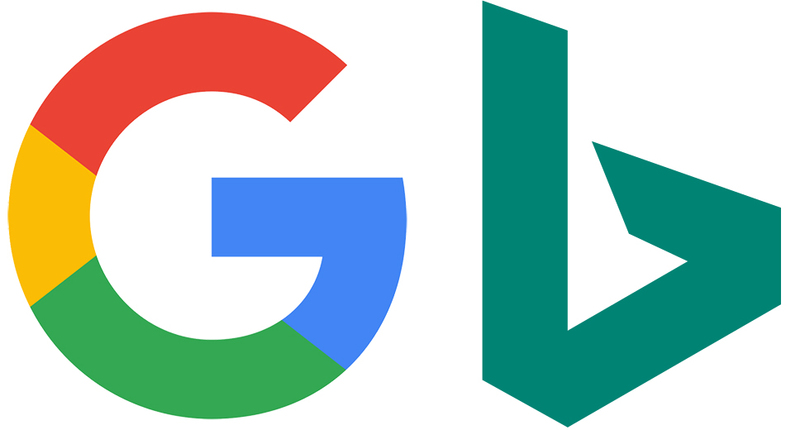 Opace understands the key differences between how Bing and Google use SEO to rank a website and we can help you maximise the impact of your website to achieve better rankings on both, or either, of them. As well as helping you create an SEO strategy, we can help you deliver an integrated digital marketing campaign. To find out more about our services and why our 100% of our clients are happy with the results-driven approach we provide, contact us today. Image Credits: Top Rank Marketing/Flickr, Harvard.Edu, Big Oak/Flickr and geralt/Pixabay.